Here’s an uplifting story to start your weekend: SAP employee Felicia Shafiq just found out that she’ll be part of the Canadian Paralympics Volleyball team taking place in Rio this summer concurrently with the Olympics. As we previously reported, Shafiq is a senior support engineer who lost both of her legs a few years ago due to illness and now walks with prosthetics. Here’s what happened: She had just come back from vacation in Fiji when she felt ill. By the evening, she had slipped into a coma, suffering from blood poisoning, its cause unknown. Doctors almost amputated both of her hands and her feet while she was unconscious in an effort to save her life. Her family wouldn’t allow it and, fortunately, she survived and her hands at least partially healed, though they still have nerve damage. But her legs never recovered. Before the illness, she loved to play volleyball. Her therapist suggested she try out for the para-sitting team and things took off for her from there. She became the first double amputee to make the national team. 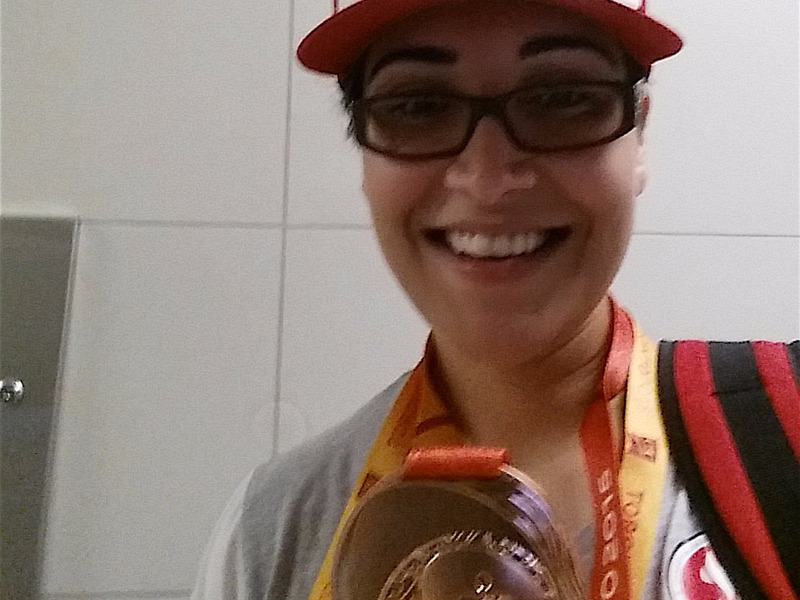 The team won a bronze medal in the Toronto Parapan Game, which qualified the team to play in Rio. But individual members still had another round of qualifying to do to earn an official spot. A SAP spokesperson tells us that Shafiq just heard that she’s made it on the team. The company couldn’t be more happy for her. She was sick for about three years but was put on leave and able to return to her job when she recovered. In addition, through SAP’s volunteer program, Shafiq also spends her time teaching kids with disabilities to play sitting volleyball. And, when not playing volleyball, she’s also good at Call of Duty, Foosball, and building stuff. “I have a diamond tufted headboard in the works,” she once told us. SAP put together an inspirational video about Shafiq’s life journey that sort of doubles as a recruitment video, with a rather in-your-face message of SAP as a company that cares about its employees. Jaded reaction aside, illness can happen to anyone. Shafiq’s story shows even that kind of tragedy doesn’t have to stop a happy life.